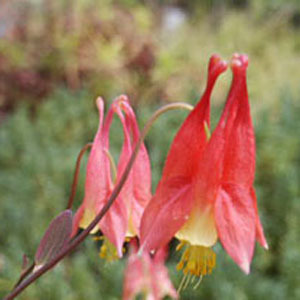 This native of the eastern U.S. is a very early spring bloomer, and so is very valuable for hummingbirds. The flowers are red and yellow. Prefers some shade. Perfect for the woodland garden or shady perennial bed. Categories: All Items, all potted plants, bee nectar plants, deer resistant, hummingbird plants, native American plants, Potted Plants, More..